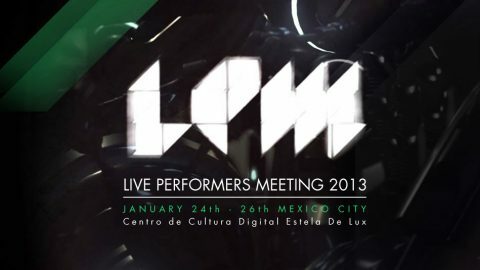 The twelfth edition of LPM Live Performers Meeting begins on January 24, 2013 in Mexico City. Again, this XII edition seeks to promote the practice of live video performance, thanks to a rich and unpredictable programme aimed at exploring different themes through new audiovisual languages, techniques and technologies. Registration to the meeting is FREE and you can subscribe by following the procedures of registration in the participate section of the website. To give the opportunity to host most of the performances we receive, the maximum duration of each show is 30 minutes. Registration is open until November 12th, 2012. LPM is produced with the support of the Culture Programme of the European Commission and in collaboration with international partners and co-organizers, the project includes a series of previews and promotional events focused on live video to be held in France, Hungary, Greece and Italy, during the most important European festivals and cultural events.